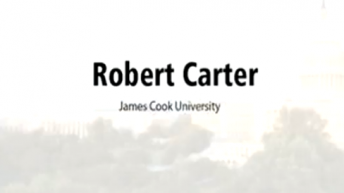 Dr. Robert M. Carter was a palaeontologist, stratigrapher, marine geologist and environmental scientist with more than 30 years professional experience, and held degrees from the University of Otago (New Zealand) and the University of Cambridge (England). 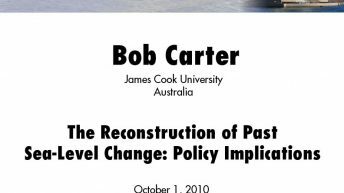 He held tenured academic staff positions at the University of Otago (Dunedin) and James Cook University (Townsville), where he was Professor and Head of School of Earth Sciences between 1981 and 1999. Dr. Carter served as Chair of the Earth Sciences Discipline Panel of the Australian Research Council, Chair of the national Marine Science and Technologies Committee, Director of the Australian Office of the Ocean Drilling Program, and Co-Chief Scientist on ODP Leg 181 (Southwest Pacific Gateways). 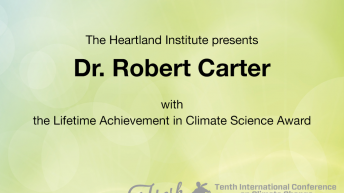 Dr. Carter contributed regularly to public education and debate on scientific issues which relate to his areas of knowledge. 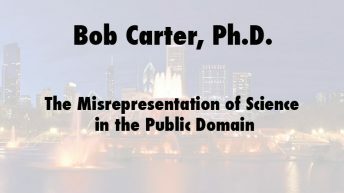 His public commentaries drew on his knowledge of the scientific literature and a personal publication list of more than 100 papers in international science journals. 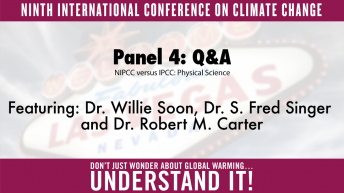 Dr. Carter’s latest research on climate change, sea-level change and stratigraphy was based on field studies of Cenozoic sediments (last 65 million years) from the Southwest Pacific region, especially the Great Barrier Reef and New Zealand. 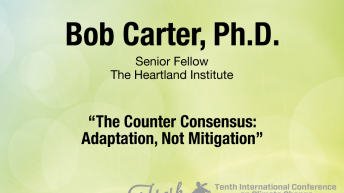 Dr. Carter acted as an expert witness on climate change before the U.S. Senate Committee of Environment & Public Works, the Australian and N.Z. 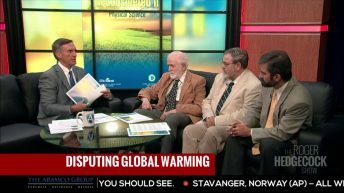 parliamentary Select Committees into emissions trading and in a meeting in parliament house, Stockholm. 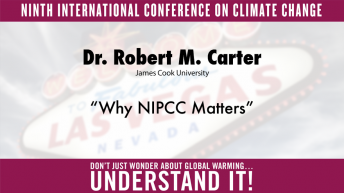 He was also a primary science witness in the Hayes Windfarm Environment Court case in New Zealand, and in the U.K. High Court case of Dimmock v. H.M.’s Secretary of State for Education, the 2007 judgement which identified nine major scientific errors in Mr. Al Gore’s film An Inconvenient Truth.